With the help of the city traffic police, the organs reached the airport in just 4 minutes. Four patients in different parts of the country got a new lease of life as the family of a 40-year-old hotelier, who was declared brain dead on Sunday, decided to donate his organs. Amit Awasthi, who donated his heart, kidneys, eyes, and skin, was admitted to Wockhardt Hospital. On Monday morning, his heart was flown to AIIMS Delhi by creating a green corridor, his liver went to a Pune hospital, and eyes and skin went to respective banks. However, due to some reasons, his kidneys could not be used. The 40-year-old hotelier was admitted to Neuron Hospital on October 24 for severe bleeding in the brain due to very high blood pressure. Neurosurgeon Dr. Chandrashekhar Pakhmode put a shunt on October 26 to reduce the intracranial pressure. But since the bleeding extended up to brainstem he was declared brain-dead and brought to the Wockhardt hospital on Sunday evening. While talking to TOI, K Sujatha, the Wockhardt center head said that Awasthi’s family agreed to donate his organs after counselling. “The patient was declared brain-dead yesterday evening. His family collectively and proactively decided to donate the patient's organs, once they got to know about his condition," she said. "Traffic police is contributing its bit for the noble cause," DCP Ravindra Pardesi, responsible for successfully creating the green corridor yet again within a week's time, said. 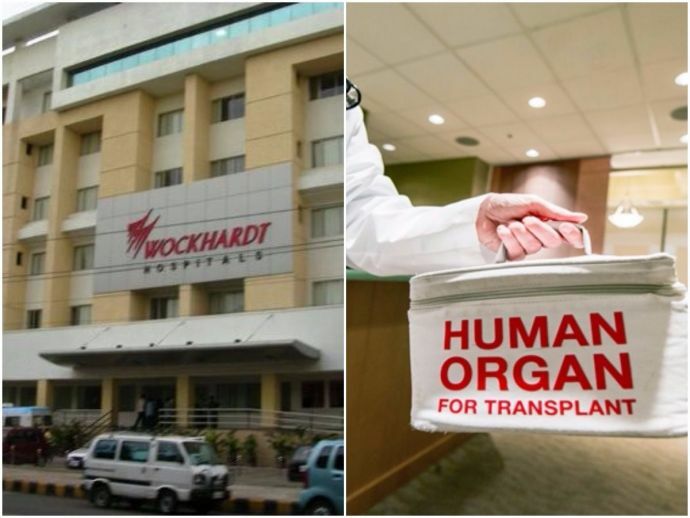 Last month too, a liver was transported to Mumbai through a green corridor from Wockhardt. Awasthi’s skin was retrieved by Dr. Sameer Jahagirdar from Orange City Hospital and Research Institute (OCHRI) for the Rotary Skin Bank and the corneas were taken to Madhav Netra Pedhi eye bank. His heart was harvested by CVTS surgeon Dr. Sameet Pathak and CVTS surgeon of AIIMS, New Delhi, Dr. Milind Hote, with the support of cardiac anesthetist of the Wockhardt hospital Dr. Awantika Jaiswal. Multi-organ transplant surgeon at Wockhardt hospital Dr. Anurag Shrimal retrieved the liver with support from liver transplant surgeon of Sahyadri hospital, Pune, Dr. Narute. Dr. Ravi Wankhede and Dr. Vibhawari Dani, the secretary and the president of the Zonal Transplant Coordination Committee (ZTCC) ensured the heart was not wasted and approached the National Organ and Tissue Transplant Organisation (NOTTO).